Shoulder, elbow and wrist pain can start with an injury or through common daily activities. Posture and inefficient movement patterns can make it harder for the body to heal. And because the shoulder is the only joint in the body that relies on muscles for support, it is particularly susceptible to injuries caused by muscle imbalance. A healthy upper body starts with proper alignment of the rib cage, shoulder blades and head. The shoulder blade is the stable base from which the shoulder and arm function, so it is very important that it is in the correct alignment. Andersonville Physical Therapy in Chicago helps you regain upper extremity stability, range of motion and strength. We’ll work with you to find your best alignment so your deep postural muscles support your shoulder blades and improve the strength and muscle balance of your shoulder, elbow and hand. Using functional strengthening exercises, we will train your muscles to work together and prepare them for daily tasks by simulating common movements you might do at home, at work or in sports. Our whole-person approach identifies the cause of your pain, treats the injury and retrains you to avoid re-injury. We are a passionate team ready to help you recover from an upper body injury or surgery, as well as reduce chronic pain in your wrists, elbows and shoulders. If you have received a referral from a doctor, complete our appointment form or call our Chicago office at (773) 907-3599 during regular business hours. Want to accelerate your recovery? We’ve created a FREE guide for those who want to take charge of their own rehabilitation. 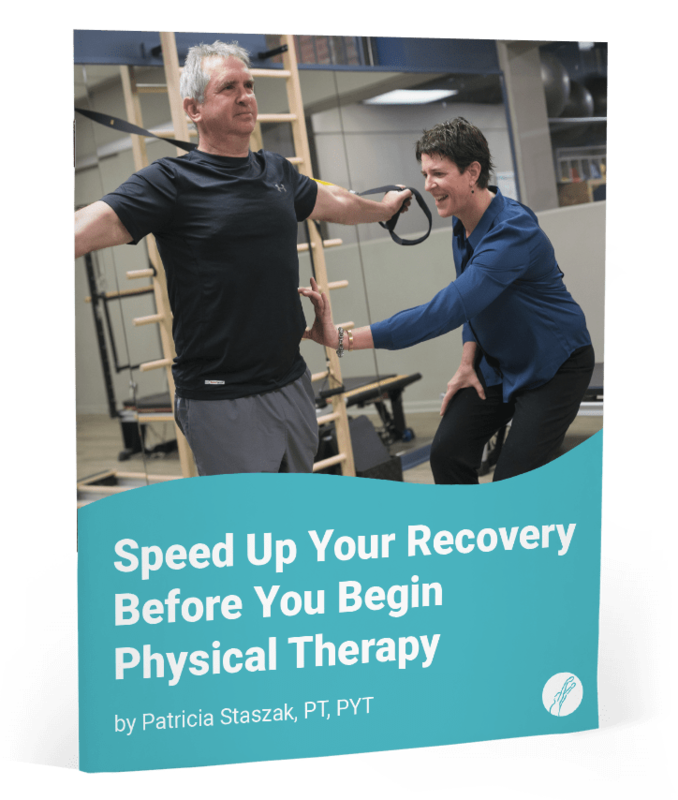 Even if you haven’t decided on a physical therapist office, download Speed Up Your Recovery Before You Begin Physical Therapy and get expert advice on what you can do before you show up for your first appointment.